According to recent reports, the main telecom provider in the praries is set to lauch the iPhone on its network. The phone will be available in stores starting April 26. The company launched its 3G+ network last August which is capable of handling the type of applications smartphones require. 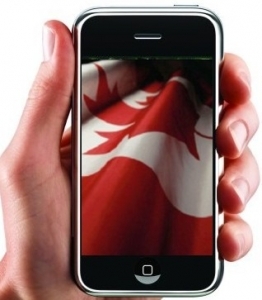 The Apple iPhone is not currently tied to any monthly plans, nor does Sasktel yet have a clear distribution plan. “SaskTel remains committed to offering the best network and we’re sure our customers will love using the innovative iPhone 4 on SaskTel’s leading network” said the minister responsible for Sasktel. The iPhone will be carried on the new 4G network, enough to handle the type of data transfer Apple requires before it allows the distribution of the hardware. The basic version of the iPhone will sell for $649 without a contract and as little as $159 on a 3-year term, inline with other Canadian wireless carriers.